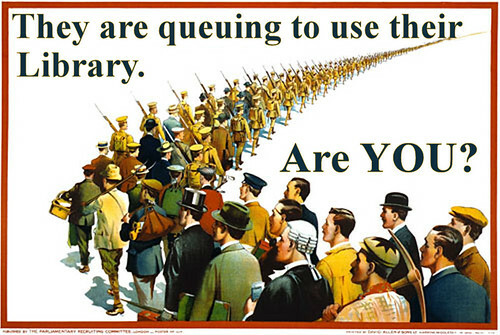 This week I have been doing my bit for the #savelibraries campaign. I’ve been watching it from afar for some time without getting involved but this week I have finally been able to add my contribution. Next was an article for the Open Rights Group Zine – Everybody loves surfing. For this, I was approached (via a comment on this blog) by the zine’s editor Iman Qureshi. The idea was for an article on how and why technology is valuable to libraries and library users. I refined this and started to think about how technology is changing the role of libraries. Given that the article was to be part a book themed week on the zine in support of the Bookseller’s Fight for Libraries campaign I used public libraries as my focus. If you want to get involved and help to save our libraries a good place to start would be to attend a read-in at your local library this Saturday, 5th February. For more information about campaigns in your area visit the Voices for the Library website.